While the winter snow storm Juno wasn’t quite as impactful as predicted, it still unplugged customers from retailers. Winter Storm Juno wielded winds in excess of 70 miles per hour. It dropped up to three feet of snow along the coast. Still, the storm wasn’t quite the apocalyptic doomsday predicted by many meteorologists. Make no mistake though – Juno still had a major impact on many retailers in the Northeast. In Boston, retail business was essentially shut down completely. 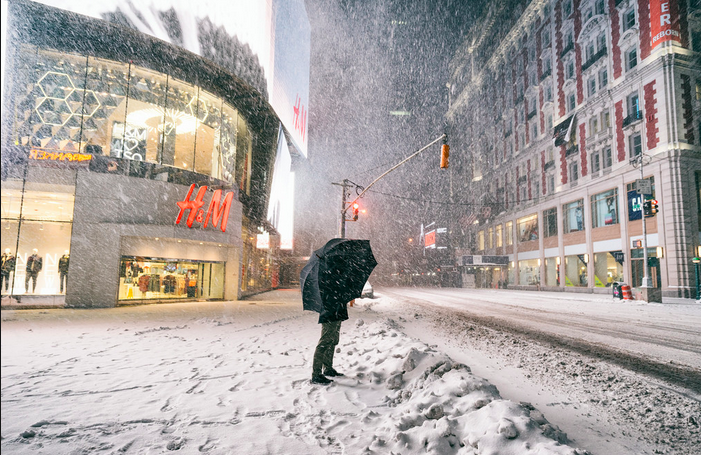 On the day of the storm, sales were down 99 percent over the same day in 2014. Meanwhile, New York City saw retail spending drop 64 percent. All told, the storm had a negative impact of up to $1 billion. Many retailers had to close up shop entirely for a couple days – a revenue loss that no one is really ever truly prepared for. For much of America, crippling winter storms are an annual matter of when, not if. However, there’s some good news just around the corner. According to a Raymond James spokesman, retailers tend to get a significant sales boost in the aftermath of a major storm. Once retailers and customers get shoveled out, there is a flurry of shopping with cold cash. A Veloxity charging station will always be safe from the cold and ready to supercharge any device. No hot chocolate required.